Don't become a victim or a cause of runway incursions! Are you familiar with the problem of "runway incursions"? Have you ever had a runway incursion? "Any occurrence at an airport involving an aircraft, vehicle, person, or object on the ground that creates a collision hazard or results in a loss of separation with an aircraft taking off, intending to takeoff, landing, or intending to land." It’s easy to become disoriented, overloaded, or misunderstand communications when operating on the ground. Yet ground operations are one of the most critical phases of any flight. The fact is, runway and airport safety is getting worse. As of December 1, 2011, the number of runway incursions and other ground incidents is rising. What can you do to help ensure that you won't cause a runway incursion in the future? What can you do to help prevent being a victim of a runway incursion? Getting Around On The Ground™ 3.0 With Airport Simulator™ is the only interactive, multimedia tool available that teaches the types of airport markings, signage, and lighting. It also goes beyond simple technical knowledge by outlining hazards, safety tips, and procedures that will help keep you aware, knowledgeable, and safe on the ground. Learning the theory is one thing. Practicing it is another. That's where Airport Simulator comes in. Airport Simulator is a real-time, 3-D, virtual airport taxi simulator. Get the ATIS, exchange communications with Air Traffic Control, and follow taxi instructions including hold short and runway crossing tasks. The goal is to practice taxiing so as to NOT cause a runway incursion. Two airports and forty challenging taxi scenarios are included. And, there's no need for special hardware such as rudder pedals, because you control your aircraft with just a few keys on your keyboard. It's easy! 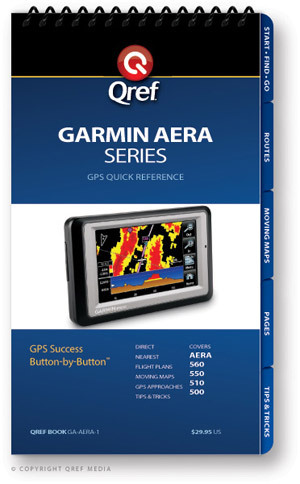 Qualify for FAA WINGS credit! A primary feature of Getting Around On The Ground™ is it's emphasis on case studies and statistics. In other words, you'll find out how close your own experiences could be to actual accidents and close-calls. You won't just learn the technical aspects of airport operations, but you'll also learn about specific real-life runway incursion hazards. It's no wonder airports are confusing when taxiing on the ground. Since most aircraft sit low to the ground, it's difficult to visualize one's position. That's why we created 3D graphics that represent how things really look—low to the ground. All graphics feature accurate representations of signs, colors, and markings. You'll have the chance to test your knowledge after each section. Simple quiz questions are provided in a variety of formats, accompanied by 3D graphics to illustrate the question at hand. You'll learn how to interpret the colors, symbols, and placement of markings, signs, and lighting. Since many airport layouts are rather confusing, such scenarios are illustrated to describe how such markings, signs, and lights are used. 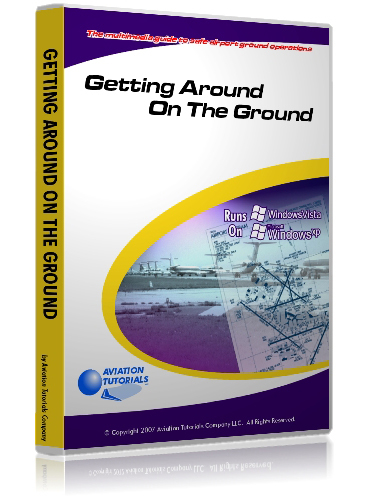 Although not a tutorial on communications, Getting Around On The Ground™ does emphasize the importance of proper communication and taxiing technique. The section on Procedures provides an overview of proper ground operations. While factual knowledge is a good thing, pilots need real tips and techniques that can help prevent runway incursions. Seventeen Quick Tips are provided, with clear graphics, that you can start using right away.